Will Terrorist attack on Tunisia Museum-goers Test Gov't's Commitment to Rights? Will Terrorist attack on Tunisia Museum-goers Test Gov’t’s Commitment to Rights? 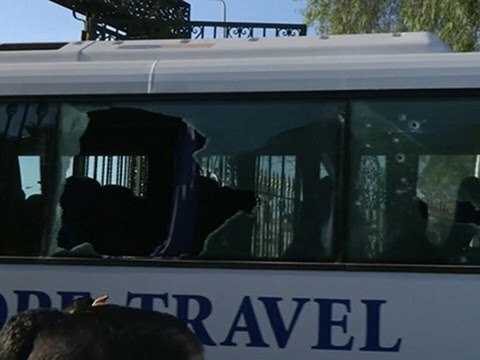 The despicable attack in the Bardo Museum in Tunis on March 18, 2015, killing at least 19 foreign tourists and Tunisians, will test efforts by the Tunisian authorities to build a rights-respecting society, Human Rights Watch said today. No one has yet claimed responsibility for the assault at the museum, much visited by tourists because of its rich archaeological collection. The assault on the Bardo Museum, adjacent to Tunisia’s parliament, was the first mass attack on civilians in Tunisia since gunmen killed people in the Ghriba Synagogue on the island of Jerba on April 11, 2002. Al-Qaida claimed responsibility for the 2002 attack. Islamist armed groups have targeted security forces in numerous attacks since 2011, killing a total of more than 40 people. Two leftist politicians were killed in separate incidents in 2013. News reports of the March 18 attack, based on accounts from witnesses, said that between two and five armed men opened fire on tourists in the parking lot of the museum at about noon. The gunmen then entered the museum and took hostages. At about 3 p.m., the Interior Ministry announced that security forces had killed the gunmen. At least 19 people were killed in all, officials said, including six people killed inside the museum in addition to the gunmen. At least 17 people were wounded. The casualties included mostly foreign tourists and two Tunisians.